Bitcoin - what is bitcoin? How do I use it? Where can I use it? Congratulations, you’ve received bitcoin for bitcoin’s birthday – but what is it? What can you do with it? And how can you spend it? Bitcoin is the world’s first decentralised digital currency, launched in 2009 by Satoshi Nakamoto, the alias given to the unknown person (or persons) who created it. Bitcoin is not regulated by any central authority, i.e. no banks, and it’s free from government control. Bitcoin is created through a process called “mining”, which involves adding transaction records to bitcoin’s public database, called the blockchain. You can transfer it from person to person as a form of payment, use it to buy goods, or simply hang on to it as an investment. The digital currency is often cheaper to use as it’s not owned or controlled by a country or government, nor subject to regulations or fees. It can also be bought and sold on eToro. Each bitcoin transaction is recorded in a log, and the names of buyers and sellers are never revealed – only their unique wallet ID (a number comprising 32 alphanumeric characters and four dashes) which keeps customers’ transactions private and anonymous. Bitcoins are stored in a digital wallet – a sort of virtual bank – that allows people to pay for goods, send or receive cryptoassets, or retain it for the future. Every bitcoin wallet contains one or more public and private keys. Your private key is a hexadecimal sequence of numbers and letters which allow bitcoins to be spent and is unique to the owner. The public key allows customers to receive bitcoin and is a hashed version of the private key. So, you’ve received bitcoin – what next? You will see a QR code – which is your public key – and holographic strip on your bitcoin note. Simply peel the holographic strip on your note to reveal the private key QR code. Next, download a bitcoin wallet – such as Samourai (for Android) or Mycelium (on iPhone) – to your smartphone. You will be prompted to create a ‘seed phrase’ (or backup phrase) in the unlikely event you lose your phone and need to recover your wallet. Ensure you write down your seed – a list of words which store all the information needed to recover a bitcoin wallet. Once downloaded, open the app, select ‘Sweep’ or ‘Cold Storage’ then scan the QR code beneath the holographic strip. This will transfer bitcoin from the note to your phone app. Then you are ready to use it. 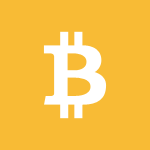 You can view the balance of your bitcoin wallet or value of your note at any time. Simply scan the public key QR code using your wallet or a barcode scanner, like blockchain.com/explorer then enter your address. Use it to buy goods or services on websites like PayPal and Microsoft, donate it to charity such as the Royal National Lifeboat Institute, trade it on eToro, or simply hang on to it as an investment. See our crypto and blockchain glossary for more definitions.